Baby proof your home. 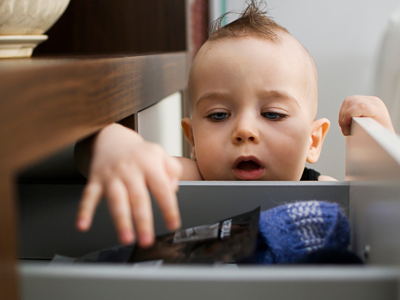 We can help you make your home safe for kids with a full range of child proofing items and services. Guard against the unthinkable. 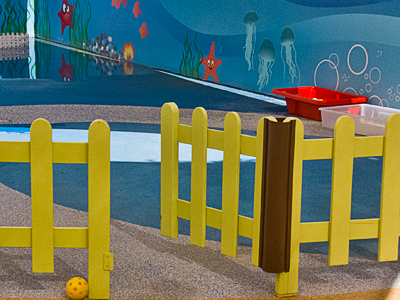 Make your pool safe with one of our internationally certified pool nets or pool fences. Browse the range of child proofing products in our online store and have them delivered to your door. Living up in the clouds? 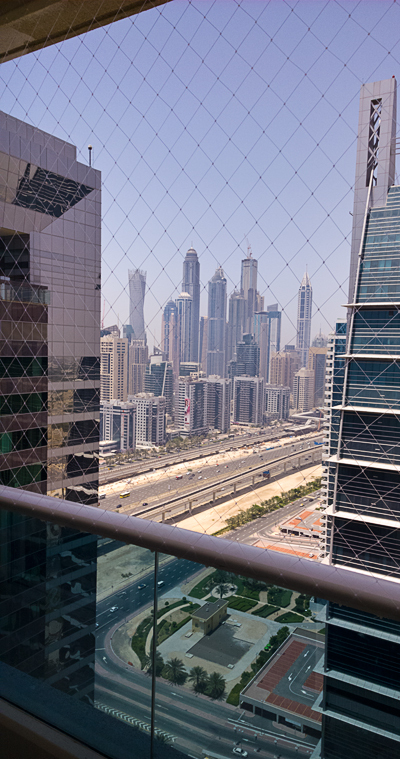 Make your balcony safe for kids with our Netzen safety netting product. 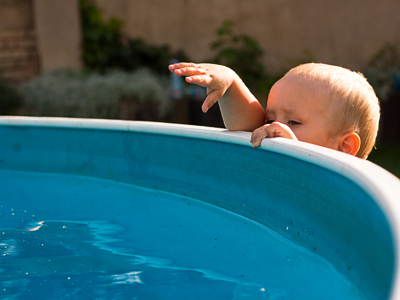 Check out the safety tips, and how-to posts on safety-proofing for babies and kids. Please share your own tips and experiences. 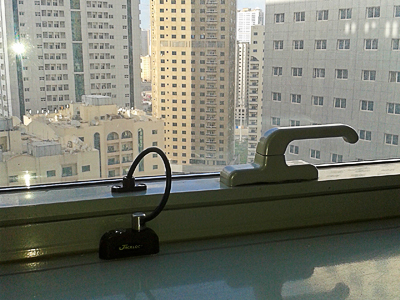 How many Jackloc window restrictors have we installed on high-rise windows and balcony doors in Abu Dhabi? Secure your high-rise windows and doors and guard against the unthinkable. 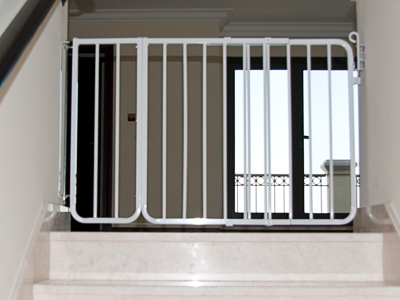 Secure your stairs top and bottom with our range safety gate solutions. We do all kinds of baby-proofing and child safety installations and modifications. We do home visits, offer impartial advice, and can give on-the-spot quotes. The number of homes, nurseries and schools we have visited and helped to make safe since 2014. We offer a range of services for nurseries who care about child safety. ‘Safety and Protection for Little Ones’- that’s us in a nutshell. Lynn registered and launched Rentacrib in 2001. In spite of others’ puzzling claims, that makes us the oldest baby and child safety company in UAE and the Middle East. We offer a comprehensive child safety service for parents, carers, nurseries and schools – safety risk assessment, advice, safety equipment, installation, and follow up. From a simple cupboard latch to a swimming pool net! We are British owned and run, and we believe in honesty, fairness, quality, and ethical business practice. We will not try to sell you something you don’t need or something we do not recommend ourselves! I have spent most of my working life in education, as a teacher, trainer, tester, writer and designer, – in UK, Europe, Africa, and the Middle East. I have been a partner in Rentacrib LLC since 2007. I have taken a particular interest in researching baby and child safety, and have developed practical ways to help parents and carers enhance child safety in their homes and schools. I would describe myself as a keen educator and a hard working mother, with over 25 years’ experience in the fields of both design and education. As a passionate early year’s practitioner, I enjoyed setting up and managing several leading nurseries and kindergartens here in the UAE, always directing my focus toward high quality provision with ‘child safety’ as a priority. 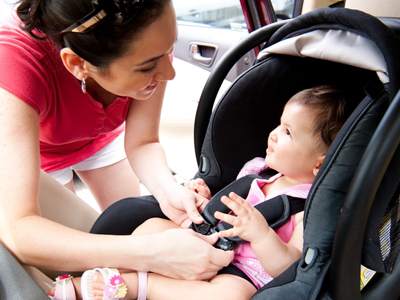 Then, 14 years ago, as a busy single mom, knowing full well the difficulties faced when traveling with babies and toddlers, I decided to set up a baby equipment rental and safety service for visitors and residents alike. Thus, Rentacrib was born and eventually it has evolved to include Shismoo Safety Services: safety for little ones for travel, homes, buildings and kindergartens. I am very proud of the way the company has grown over the years, organically evolving and always maintaining ethics and trust between ourselves and our customers. If we can help provide a safer environment for little ones, then I guess that’s an achievement in itself.